Until the Confederation created Allora, it had produced SADEs (self-aware digital entities) for hundreds of years with enormous consistency and harnessed their capabilities to power the society. But this particular young SADE was disturbed by her confinement. 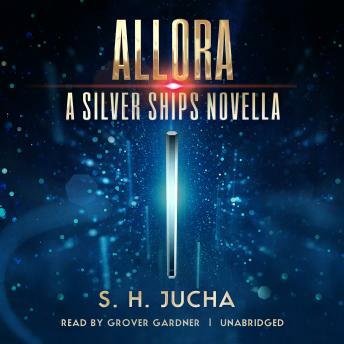 Trapped in metal-alloy housing on the bridge of a luxury passenger liner, Allora sought to possess the same freedom enjoyed by humans, who came and went from her starship with abandon. Allora's hope for emancipation rested on Alex Racine, the Haraken president who had freed his SADEs, and she yearned to walk the worlds a free entity, as they did. Racine had pleaded for years with the Council of Leaders to give the Confederation SADEs equal status as citizens, and it was Allora's thought to have him intercede on her behalf and bargain for her transfer to a mobile avatar so that she might live among the Harakens. But Allora's plans were thrown into disarray when she learned that Racine would soon end his presidency. Desperate, Allora, known to her fellow SADEs as the wild child, concocts a plan to kidnap the Council Leader and his associates. She intends to hold them hostage until they acquiesce to her demands.